The Naples Princess sails out of Naples Bay, on the beautiful Gulf Coast of Florida. Enjoy the salty bay breezes, shimmering waters, and natural beauty that make Naples Bay perfect for cruising anytime of year! Naples Princess offers live entertainment cruises, sightseeing tours and private charters for any celebration. Looking to tie the knot? Well, the folks here can make your wedding a most memorable event. They also do private corporate and social cruises. 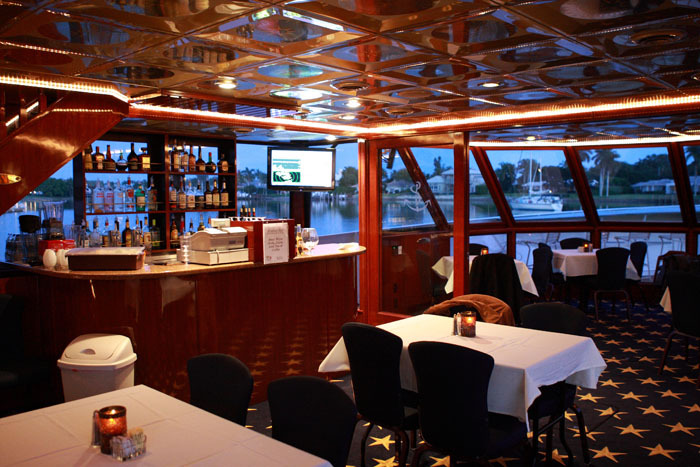 Whether for dinner, hors d'oeuvres, or lunch, meals are prepared fresh in the galley for your enjoyment.